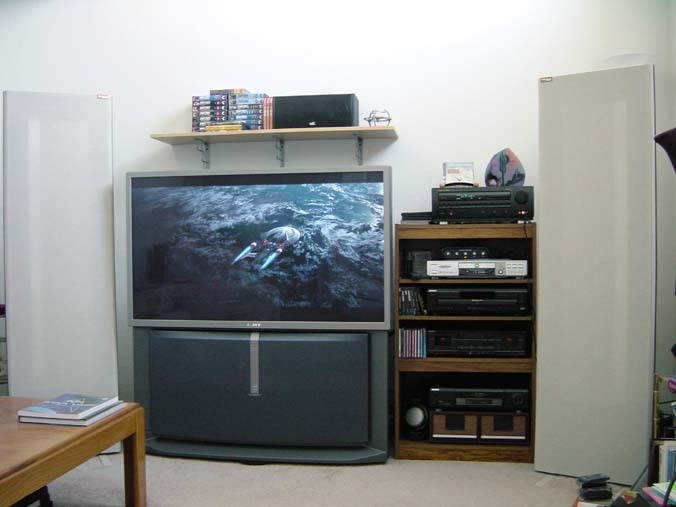 I have a rear-projection wide-screen TV (see below), and I'm very happy with the image quality even in daylight. For best movie viewing, however, there should be very little ambient light. 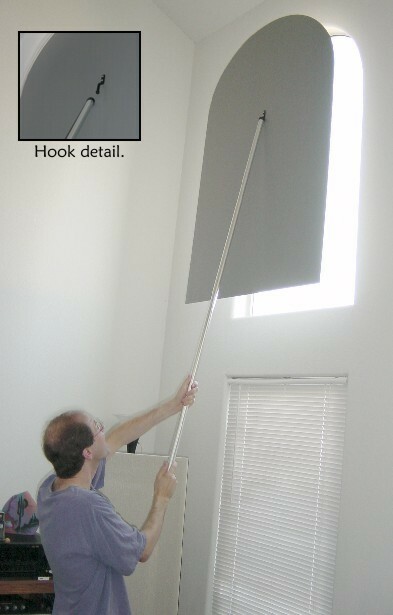 So I designed the shade system shown here for my two large living room windows. I measured the windows, then I made a diagram and took it to Tap Plastics. They recommended a material called Komatex, which is somewhat flexible and lighter than opaque Plexiglas. I selected this gray color, though many others were available. The hook is a gate hinge which I found at a hardware store. I use a six-foot long, one-inch diameter aluminum tube to raise and lower the shade pieces. The ends of the tube are covered with 1-inch diameter floor protectors (little plastic caps made for table legs). I put a hole in one of these in order to accept the hook.